The key to achieving a clean, even placement of a lawn lies in the preparation of the site on which the grass is to grow on: no rubble, no protruding large stones, no holes or crevices on the ground that may twist one’s ankle, hide tiny objects, even creatures, that inadvertently roll onto lawn grass, and will make the task of mowing the lawn difficult. The first step to level lawns – is to clear the area of unwanted objects like tree stumps and large stones. This is done by digging or by using a Rotavator. If there are weeds or unwanted vegetation growing, a systemic weed killer may be sprayed onto the soil to discourage the further growth of weeds. After clearing, the soil is raked to improve soil structure. This also facilitates the leveling process. The next step is to do soil patching to further even out the surface area and to create a planting surface that is acceptable to the roots of the plants. This can be done by dragging topsoil from one area of the lawn to the other in order to create an even planting surface. Well-drained, sandy loam makes the best topsoil for a lawn. It should be free draining, but at the same time be able to retain a certain water level that can prevent plants from completely drying out. Sand may also be added to the topsoil to level the soil but it can turn cement-like when dry and can cause soil drainage problems. Used alone, sand is not a good surface to grow grass on. To achieve a uniform level for the planting area, mark the desired soil height using string that is drawn taught on pegs. These pegs are evenly plotted on the area, creating a uniform grid that will guide the distribution of the soil. Adjust the soil level to the marks indicated by the lines. Repeat the digging, raking and leveling processes until a level surface is achieved. The soil is then firmed down. Cover the whole area with topsoil, preferably 20-30 cm (8-12 inches) deep. Tread evenly over the ground to test if the soil is evenly firm. Take care not to over-compress so that the soil won’t get compacted or water-logged. No activity should be undertaken on the soil surface within the next 4-6 weeks to allow the soil particles to settle down naturally. Lightly fertilize; water the soil thoroughly a few days before putting the grass in. If lawn ruts or uneven spots appear after the grass has been allowed to grow, patch the soil with an equal mixture of sand and dry topsoil, evenly spreading the mixture, but not entirely covering up the growing grass underneath. Compost may also be added to the patching soil mix for a richer planting medium. Looking for ways to come up with a durable, more lasting lawn? Consider lawn seeding. Lawn seeding ensures that grass on your lawn are deeply rooted and will withstand the wear and tear that most lawns are subjected to. Although seeding a lawn takes and awful lot of time to do, it is definitely a lot less costly than laying sod. The first step is to determine the type of turf grass to plant. This step requires serious planning and it would be a good idea to get professional advise on what grass to grow in your particular area. Seed dealers can offer a wide variety of lawn products and services to choose from: from seed costs, to labor costs, and other requirements. One tip: never use quick grow seed packages as these contain a high percentage of annual rye, which dies after only one season. How much seed to buy? The rule of the thumb in seeding bare ground is 5 – 6 lbs per 1000 square feet; for over seeding add an estimated 3 – 4 lbs per 1000 square feet. 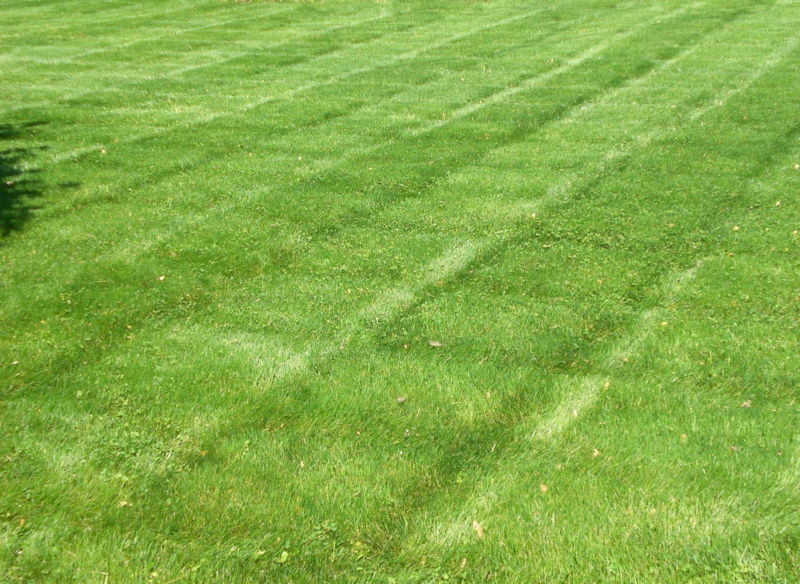 The initial establishment cost in lawn seeding is generally lower costs related to sodding. This is basically because seeds cost less than sod. Where to plant? Seeding is not an option in areas where there is a high probability of soil erosion. Too much movement of soil particles will prevent the seeds from properly taking root and will prove to be more costly when the process of seeding has to be repeated. Also, herbicides may be needed during the first year of seed establishment to ensure that the young grass plants do not compete with herbs for much needed nutrients in the soil. The cost of herbicide application should be included in the computation of seeding costs. Seeding is a good option when you want to have grass in a shaded area; just be sure to plant the right type of grass seeds for the site. Other things you need to do in seeding include loosening the soil, which is a basic requirement for any lawn establishment procedure, clearing the area of weeds and debris, leveling the ground and applying topsoil where needed. Your usual garden tools are often sufficient for these procedures: shovel, rake, pick-ax. A rotary tiller might be needed in areas that are tough to loosen, but renting one rather than buying would be sufficient. For seed application, you will need a drop or a broadcast sprayer, and then a garden hose and sprinkler to dampen the area where the grass will grow. Make sure the prepared ground drains well. New sprouts can be protected from heavy rain or strong winds by covering them up with a fine layer of hay, which can be removed with a rake when the sprouted seeds are strong enough to stand on their own. A professional landscaper usually charges around $201for a 2,000-square foot lawn; others may charge around $90 to work on a 1,000 square foot lawn. Just a reminder: be wary of so-called professional grass seeders who charge too little for the job. You might be in for more trouble. Most seed /landscaping companies stay competitive and their price range will lie within a competitive range, so costs should be fairly even. For an average-sized lawn, you will only need around $50 if you plan to buy the seeds and plant it yourself. If you need to add topsoil, you’ll have spend a little bit more. Some shops have a grass seed calculator that can help you in the computation of costs in preparing your lawn. Your starter fertilizer should be an 18-24-12 mixture; a 50 lb bag will adequately cover about 12,000 square feet. A final advice: do your seeding in late summer or early fall, when cooler weather and rains are expected. That way, the tiny plants will be less subjected to stress and will pass through their growing season more peacefully. You will also lessen the probability of having to reseed due to failed initial seeding attempts. And remember choose the best lawnmower you can to keep the grass trim, and it’s especially important to keep the blades sharp when grass is young as otherwise your mower will tear the grass rather than cut it cleanly. If you’re growing a vegetable garden, the first year is always the problem. If you have very acidic soil, some plants won’t grow well while others will thrive. You might end up with tomatoes that line your counters and cover every surface in your house. In that case, you’ll want to buy a pressure cooker and some canning jars. Canning is a great way you can cause your garden to be very fruitful all-year-round. When choosing plants for your garden, tomatoes are always a good choice. You can make them into sauces, chop them up and can them or eat them raw. If you plant a variety of different tomatoes, they will have give you more variety. Try planting Roma in one row, cherry tomatoes in another and regular tomatoes in another. Tomatoes should always work well for you no matter what soil you have. In the case of tomatoes, however, you should never try planning tomatoes from seeds. Some do, but it’s far more beneficial if you purchase ‘flats’ of tomatoes. That means that they’ve been grown until they’re about three-inches tall. Then, you transplant those tomato plants to the garden. Insects love tomato plants, though. Cutworms are a problem, so if you’re in an area of the country which has them, you’ll have to put something as a wall which keeps the worms from eating the plants. If you cut both ends off a tin can, then you can push that can into the soil, then transplant the tomato plant in the middle of the can. The depth of the can beneath the soil is the main thing. The Black cutworm and the variegated cutworm are the two most common species which damage your garden. Since they feed at night, they generally won’t be noticed in the daylight. Other plants which can be damaged by cutworms are celery, onions, pepper plants, eggplant, rutabaga, carrots, sweet corn and several others such as beans. If your plants are lying on their side in the morning, you’re having problems with cutworms; but even if they aren’t, cutworms might be the culprit. They go down about 5 cm in the ground, or 2 inches. Thus, your tin can or waxed milk carton should go about 3 inches down. Other vegetables which give good yield are peppers. Again, plant many different varities of peppers such as many different types of Chile peppers as well as typical green peppers. Peppers can also get attacked by insects, so make sure you put a protecting can which encircles their stem as well. They start out as a little green bud, then grow bigger. Insects go for the leaves rather than the peppers themselves, but since peppers can be harvested the whole summer, you’ll want the plant to thrive without dying. Corn is always a difficult one to raise. You can try them, but realize that every one of those little strands that go down the inside of a corn husk is how each kernel gets pollinated. If a kernel isn’t pollinated, then your corn will have large sections on the cob where it will be bare. Also, many different insects like corn, it being so sweet to eat. Try corn in one row, at first, then if it does well, expand. The thing is, when choosing plants for your garden, experiment. The first year is always the hardest. Looking for a Green Alternative To an Electric Powered Weed Trimmer (string Trimmer)? I am looking for a green alternative to my current gas-powered weed trimmer, a green substitution comparable to my rotary push mower rather than my old gas mower. It seems crazy to mow the lawn with the push mower then get out the gas-powered string trimmer to do all the edging! What did people use before gas- and electric-powered weed whackers? No, not just a color in your Crayola Box, it is now possible to have your own private putting green in your own yard. For the avid golfer it might seem like a dream come true to have your own green. Do they know what is involved? Let’s look at some facts. Greens are expensive to build and need special maintenance. If you are determined to have one then we will fill you in on some facts. The first thing you ought to know is that taking care of greens will need a great deal of work. One of the first items to be considered is drainage. To maintain a green in good putting condition, the water has to be able to drain off properly. It does need to be watered, but in watering, it also should be well drained. If you want to have your own green, you should be able to spot disease, insect problems, and fertility issues. One thunderstorm can tell you if you have enough drainage. Some greens need to be surrounded by perforated pipes to carry the water to a distance away from the green or to a private stream. Seeding is a problem, knowing what seed to plant for your location and making it look great is another problem. If you consider using sod, you should know that it is expensive. Seeded greens have to be pampered while the grass is taking hold. There is a fine line between waiting too long to mow and weakening the turf, making it open to blight, and mowing it too soon. The grass could be so young and tender that a regular mower will mash it down. Green mowers are also an important cost factor to consider. New mowers can cost $5000 or more and used mowers are known to be priced as high as $1000. Toro makes a special mower just for greens. Controlling such diseases as pythium, sod webworm and cut worm as well as algae and moss has to be done consistently. Regular treatment needs to be applied and if a treatment is missed, you could find your green overrun by disease in the space of one week. Building a green can be done either by USGA specifications or by using less expensive material and less elaborate drainage designs. USGA specifications can make the cost of your green anywhere from $20,000 to $80,000. A good design is one where the green is above the surrounding lawn area with sandy loam topsoil. It also requires about a one-percent slope for satisfactory drainage. Many experts also recommend an irrigation system so you won’t have the inconvenience of watering the green by hand. What grass do you want for you own backyard green? Again that is going to depend on where you are located. You have to consider if you are in the warm season zone or the cool season zone. There are many basic grasses that are used on nearly any golf course and there are also grasses that have been specifically developed for golf courses. In the cooler climate, these seeds are suggested for your green. For one hole of golf, in the tee areas it is recommended that you use bentgrass while roughs and fairways require bluegrass. Hazards can also be planted with rough bluegrass and other ground covers. Another question that you will need to answer is; do I need a special lawn mower? A standard rotary motor is not the right mower for keeping a green. It is important that you use a mower that pinches off the grass rather than chopping it. Look around for the best deal on these mowers. Maintenance time should not be so time-consuming that you can’t enjoy your private putting green. It can give you hours of enjoyment and practice in the comfort of your backyard and if you especially enjoy gardening, it will be well worth the effort. Landscaping and preserving a golf green can be fun and relaxing, and you have the added benefit of being able to improve your game at home instead of going to a course to practice. The industry in general landscaping is a wonderful activity. They create beautiful landscapes, install trees, shrubs, plants and flowers. This reinforces our environment and beautify our homes. There are a number of things about the industry that is negating all the work they are doing right. Mowing the lawn is a big part of the company. Each day, 5 days a week they drive from home to home, get their gas on the lawn too hungry to start their Gas Powered Trimmers online and blowers. They spend probably no more than 30 minutes on average to a house. Then they are back in their vehicles and the house next door. This is an extreme amount of gas usage from machinery and vehicles and an extreme amount of pollution that destroy ozone. 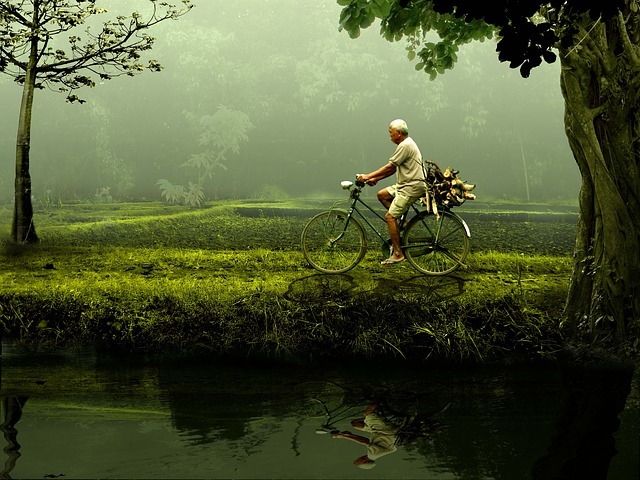 We can reduce the amount of pollution in our atmosphere, if we have time to even cut the grass, a non-polluting. There are more and more rechargeable mowers and trimmers to come on the market. Most of these rechargeable mowers will cut about 1 / 3 acre on a single charge. This will accommodate many home lawns. However, it still takes energy. There is an option that does nothing more than human energy. . . a rotary mower. These mowers have come a long way in recent years. They used to be heavy, difficult and often need sharpening. Rotary mowers of today are lightweight, ergonomic, and sharpening blades require little. These mowers are easy to use, less expensive than traditional gas mowers and powered lawn mowing services. Rotary mower price starts around $ 90. $ 00 and up to 300 million U.S. dollars. On models better bagging attachments are available. Rotary Mower Brill is the best I've encountered. The blades require sharpening once every ten years. An optional bagging is available for about $ 50. $ 00. They are light and easy action to cut smoothly, even through the thick grass. The way a rotary lawn mower cutting is also better for the lawn. It cuts the grass with scissors like motion, leaving a clean cut. A gas powered blade rotates at a high rate of speed traction on grass and cutting it. If the blade is not sharp, it tears the grass. You can tell if the blade is not marked by white edges on top of the grass-like split ends. Perhaps we as a nation would be a little healthier too, if we cut our own grass. So many people live lives of quiet now more than ever. By reducing our own lawn equipment with environmentally friendly, we will not only improve our planets health, but the improvement of our own good. Vera Pappas writes articles about sustainable outdoor living and is co-owner of Green Nation Gardens which hosts sustainable outdoor living products.